BSN student Hannah Garis Copley decided to pursue a career in nursing to help people, but during the course of her studies, she zeroed in a particularly vulnerable population: infants. 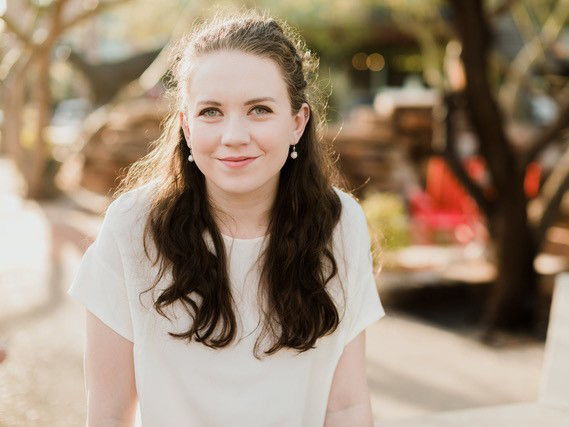 Slated to graduate in fall 2019, she recently received an Honors Legacy Grant from the UA Honors College to fund her training for doula certification. Doulas, trained professionals who provide guidance and support to pregnant women during labor, act as advocates and partners in the birthing process in ways that other members of the healthcare team are not equipped to do. They assist a woman before, during, or after childbirth, to provide emotional support and physical help. They also may provide support to the mother's partner and family. Typically, OB training does not address the ways that doulas and nurses complement one another during the birthing process. Many times, Copley says, that lack of understanding can lead to an adversarial relationship. She hopes to change that with her thesis. “I wanted to look into ways that we can integrate the process of the work of nurses and doulas and the ways responsibility would have to be ceded to one another and ways to collaborate better,” she says. To complete her doula training, Copley worked with a local doula trainer for 30 hours, doing hands-on exercises with an emphasis on alternative pain control methods like massage and counter pressure. She has attended several births. She also completed childbirth training with UA Nursing’s Melissa Goldsmith, PhD, RNC, at Tucson’s Teen Outreach Pregnancy Services (TOPS).